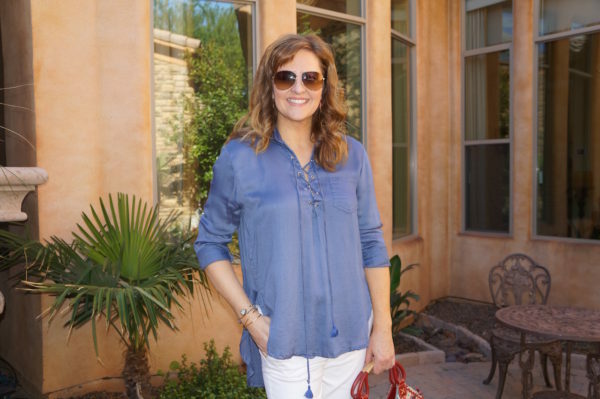 Most of us have a pair of white shorts hanging in our closet and I love how this top updates mine, plus adds a ’70s vibe. The lace-up front has festival flair without being overly bohemian. When paired with classic bermudas and heels, the shirt looks dressy or it would go equally well with cut-off denim shorts and gladiator sandals for my next beach vacation.